Emoting /sit while targeting it will cause it to walk over, jump onto your lap and lie down. Players will need a reputation of Revered or higher with Dreamweavers before being able to purchase this pet. Completing quests in Val'sharah will reward Dreamweavers reputation. Max level players can complete World Quests and complete Dreamweaver Emissary objectives to earn large chunks of reputation. Deals 98 Dragonkin damage to all enemy pets, restores 98.5 health to all allies and turns the weather into Moonlight for 9 rounds. 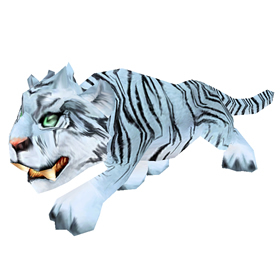 Though just a recolour of Winterspring Cub, as of present day, she – unlike other cats – doesn't react to /sit emote while targetting her. She is not epic once learned. She is a rare. Yes i was disapointed.. and i am worried athat the 1,000,000 gold one will be the same thing. This pet does around 400 damage per attack as long as it is faster!?! How did I miss this?? ?